Disneyland likes to increase their prices more often than Barry Allen likes to reset the CW Arrowverse timeline. So a “price adjustment” (that sounds better than increase, doesn’t it?) this year is not unexpected, especially with the opening of their new Star Wars themed park Galaxy’s Edge only a few months away. “We continue to provide our guests with a variety of ticket offerings to meet their needs, while helping us to spread visitation, better manage demand and deliver a great experience,” Disneyland Resort spokeswoman Liz Jaeger told the Los Angeles Times. However the price increase amounts of 10% to 23% is what caught many fans off guard. 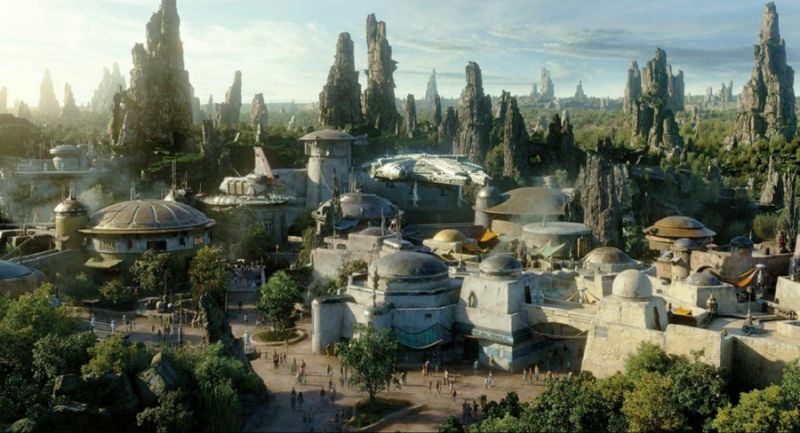 In Disney’s defense however, the new Galaxy’s Edge park does sound pretty amazing! With the 2 massive new attractions Millennium Falcon: Smugglers Run and Star Wars: Rise of the Resistance, among others, Star Wars Galaxy’s Edge is a major financial commitment for Disney. The park will also feature new original music from legendary Star Wars composer John Williams. Disney also announced that their MaxPass (ride fast lines and unlimited photos) will increase from $10 per day to $15. All prices are before taxes or fees. Will these price increases have much effect on Disneyland ticket sales? I doubt it. If a family of five already has a Disneyland trip budgeted, I don’t see how dropping another $100 for five 5-day passes will matter. What are your thoughts? Would this ticket price increase effect your vacation plans in anyway? Previous Meet The 130 MPH Lawn Mower! AKA: Every Dad’s Fantasy! Next Top 10 Golden Girls Products You Didn’t Know Existed! Thumbs up for the Star Wars opening dates- thumbs DOWN for the giant increases. But with the number of park visitors increasing every year despite the raised ticket prices, I don’t think there’s an end in sight. We are thinking about going to Disney World this May when we are in Florida. I wonder if those tickets will see the same price increase. My kids are so excited! They love Star Wars! Excited for the new lands but not for that price increase. I’ll be interested to see what else is part of the new land! So bummed that they are increasing prices. I visited 7 years ago and would love to take my son and husband to Disney World. I agree with you that the price hike probably won’t make a huge impact. People will complain, but Disney already costs an arm and a leg, so at that point, what’s another finger or two? I went to Disneyland years ago because my friend from Texas was visiting and she really wanted to go. I think I bought tickets from someone off Craigslist for fairy cheap. Honestly, I would have been disappointed if I HAD paid big bucks, but I guess if you have kids it’s different. Disney World, on the other hand, is worth visiting. I went as a teen and had a blast. I’ve never been able to afford to take my kids to Disney so this won’t affect me as I still can’t afford it. I wish I could. I believe every kid should have at least one trip to Disney. I don’t think so that the price hike will have a huge impact on people. Who doesn’t love Disneyland? And when you have children in your home, can you even ignore this beautiful place? I’ve never been to Disney! This sounds awesome! Yikes. I’ve always wanted to go with my own family but thought they were expensive before. And now this. But like you said, if you’re already going it probably won’t stop you.